JNTUH B.Tech (CCC) 1,2,3,4 Years Supply Examinations Notification August 2016, jntuh ccc supply exmaination fee notification download 2016. 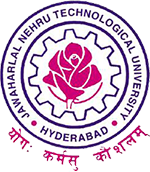 JNTU hyderabad has announced B.Tech (CCC) 1,2,3,4 Years Supply Examinations Notification August 2016. 1. Supplementary Examinations for the B. Tech (CCC) I Year, (09, 08, 07 & 06 Batches) II Year (09, 08, 07 & 06 Batches), III Year (09, 08, 07 & 06 Batches) & IV year (09, 08, 07 & 06 Batches) will be held during August -2016. 2. The students who appear for the above examinations may note that the examinations are commencing from 02-08-2016 and informed that the on-line registration for University exam will be carried out as per the time scheduled given below. 3. The details of portal for on-line registration and payment of Examination fee are enclosed herewith. 4. On-line registration will be closed strictly as per the above schedule.